Dubai's first Bulgari-branded hotel is set to open in the fourth quarter of 2017. The luxury property, which is set to become the city’s most expensive hotel yet, will be the world's fifth Bulgari Hotels and Resorts property. 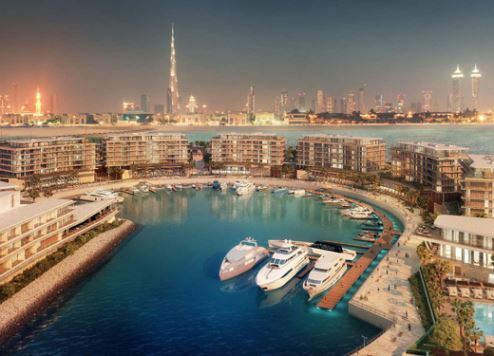 The Bulgari Dubai, which will be located on Jumeirah Bay Island, off the coast of Jumeirah Beach Road, will feature 165 apartments, eight penthouses and 15 mansions and will be operated by Marriott International. Designed by Italian architectural firm Antonio Citterio Patricia Viel and Partners, the hotel and residences will occupy the entire island, complemented by a marina and independent restaurants. The latest media reports suggest the property’s F&B offering will include the Bulgari Bar and Restaurant serving Italian cuisine, and more casual Bulgari Café. Bulgari’s executive vice president Silvio Ursini told Gulf Business that room rates would be “by far the highest in the market”. The seven-star Burj Al Arab is the most expensive Dubai hotel, with rates leading in at $2,845 a night for a deluxe room. Bulgari Hotels and Resorts has properties in London and Milan, restaurants in Tokyo and a resort in Bali. Its pipeline also comprises two properties in China, which are due to open this year – a hotel and residences in Shanghai and a hotel in Beijing. Plans to open a Bulgari hotel in Moscow in 2019 were also recently announced. Discover more about the thriving Tourism in Dubai. Let us be your guide! .